Description: The tiny, greenish male and female flowers are on separate plants. The female flowers are followed by small, round, white, pinkish, or reddish berries. Birds eat the berries and are responsible for spreading and "planting" the seeds in their droppings. 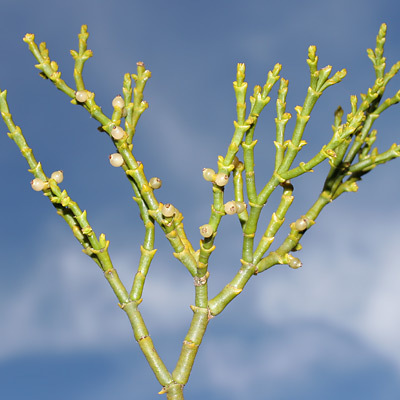 The leaves are tiny, scale-like, and in opposite pairs on the smooth, branched, green stems. 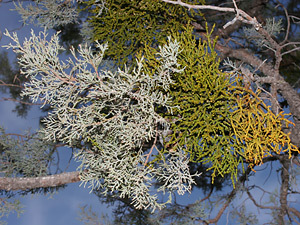 This aerial hemiparasite grows on the woody branches of Junipers (Juniperus species).